Bordered by Florence in the north and Siena in the south, Chianti is a region of Tuscany of exceptional beauty. The region combines a paradisiacal landscape of green forests, ancient olive groves, and picturesque villages, interspersed with a network of trails that snake their way through this idyllic setting. 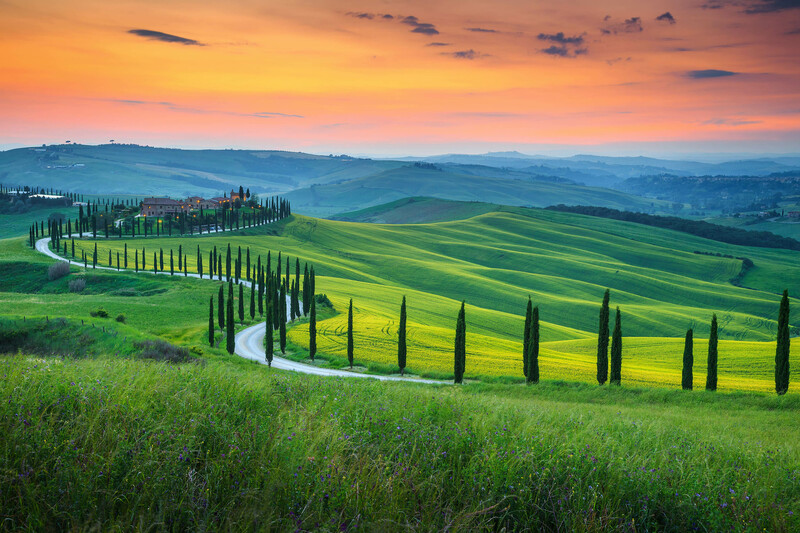 Meandering along the trails of Chianti by foot, horseback or bike, is the perfect way to become acquainted with the best this simply stunning region of Tuscany offers. It’s safe to say Chianti is the most famous wine region of Italy. Much of Chianti’s beautiful trails are lined with row upon row of vineyards and for Italian wine enthusiasts, it might be tempting to call in at one of the many wineries the region is home to, to sample the local wine. Whether you consider yourself a photographer or not, enjoy sharing pictures of your holiday experiences on social media, or prefer to keep them for close family and friends’ eyes only, Chianti’s trails offer unmissable photo opportunities, particularly in the springtime when poppies, lilies and sunflowers dot the fields, bringing a colourful contrast to the emerald fields and valleys and the cobalt sky above. Chianti, like the whole of Tuscany, is scattered with characterful, ancient and traditional towns where time seemed to stand still. It won’t be too long until you reach such a town or village when exploring the region’s network of trails. Historic settlements like Castellina, Greve and Montefioralle, are fantastic places to experience a traditional way of life in this beguiling part of Italy, not to mention enjoy a leisurely lunch in a traditional Chianti restaurant.